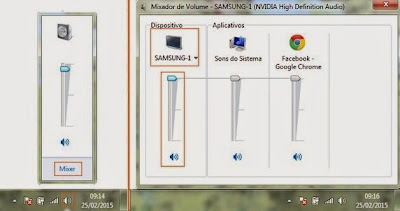 Many users have trouble setting up the audio when connecting a PC to TV via HDMI. And one of the results is just transfer the image without sound. 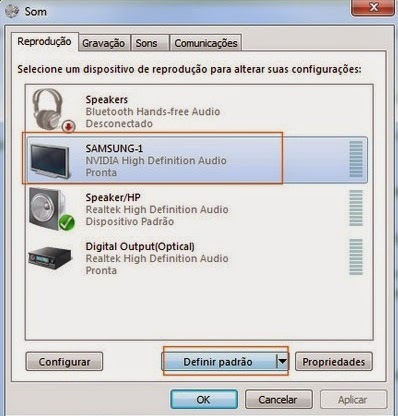 To help solve this issue, see our simple tutorial on how to put the TV audio as standard on the computer. This way the sound is played by TV and not on the computer. Step 5. Ready. now the audio will come out the speakers of the TV normally. To adjust the volume click the traditional icon in the right corner of the screen and select "Mixer". Note that the TV audio will be included with its own adjustment bar. To change the volume level just drag down and up. When the cable is disconnected the default function will return to the computer's sound automatically. The procedure was done in Windows 7 but is similar to other versions of the platform.